Jason Yates, CEO of My Faith Votes, a non-partisan movement of the church in America that seeks to motivate and equip Christians to vote, discusses how Christians can make a positive difference in their communities, state and nation through participating in the democratic process. Thanks for joining us this week forFamily Policy Matters. It’s hard to believe that the 2018 Election season is upon us here in North Carolina, but it is. In fact, our primary election will take place on Tuesday, May 8. As we have discussed in prior episodes of this program, NC Family fully believes that Christians have a unique and very important responsibility to participate in our nation’s representative system of government through educated advocacy and voting. Today, we’ll be discussing this with a man who left employment in “corporate America” to lead an organization that is dedicated to helping Christians embrace responsibility to engage culturally as informed and voting citizens. Jason Yates is the CEO of My Faith Votes, a non-partisan movement of the church in America that seeks to motivate and equip Christians across our country to think, pray and vote in order to make a positive difference in our communities, state and nation. Jason, welcome to Family Policy Matters! It’s great to have you on the show. JASON YATES: It’s great to be here. Thanks for inviting me. JOHN RUSTIN: It’s our pleasure. Jason, for those of our listeners who aren’t familiar, tell us a little bit about My Faith Votes and what makes this organization unique in its approach to encouraging Christians to get out and vote? JASON YATES: My Faith Votes was born in late 2015 out of a desire to see Christians act on their faith. But more than that, we learned that in the 2012 presidential election, there were 25 million Christians who were registered to vote but who stayed on the sidelines. When we really think about the implications of that and the issues that our country is facing, we knew that we could do more—There was more for us to do; that our faith had something essential to provide to our country on the issues that we were facing. So, we started the effort of My Faith Votes. And with the help of influential Christian leaders across the country who are endorsing what we’re doing, we’re putting out the call to Christians to say, “No longer can we stay on the sidelines. We must bring out faith forward” and that: Our vote isn’t a political act; our vote is something sacred. Our vote is something that helps us bring a little bit of Heaven to Earth as we do it from a biblical worldview. Don’t leave the influence of your faith on the sidelines, but get out there and act on your faith. JOHN RUSTIN: Jason, you said you all got started in late 2015. Talk a little bit about your efforts during the 2016 election season, and what are your objectives and goals for 2018? 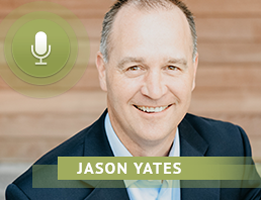 JASON YATES: In 2016, we were primarily focused on putting out a loud megaphone to Christians to say, “Hey, this is important! We have to get out and vote and exercise our faith.” Through media and through events and through the voices of influential Christians and pastors, we put that call to action out there. We hear so many reasons why people don’t vote, and a lot of times it’s out of apathy or it’s out of maybe even a little bit of self-righteousness that: I’m not gonna bring my faith or my vote into something as dirty as politics. And so, people stay away and stay on the sidelines. So we put out articles and videos and messages, even in social media, to help people understand how to think about that—and maybe a better way to think about it—so they are bringing the influence of their faith. JOHN RUSTIN: Jason, you speak in terms of think, pray and vote. Unpack this a little bit for us. What does this process look like for the average Christian voter, for example? JASON YATES: My Faith Votes. First of all we say, “Think. Pray. Vote.” I say, this is a model that we as Christians should be doing in all that we do. Really, it’s “Think. Pray. Act.”—How we act in anything. At My Faith Votes, we’re focused on the act of voting, so we like to say, “Think. Pray. and Vote.” So when we say, “Think,” we want Christians to be thinking about the issues. Try and understand: What does God say about those issues? What we find is, too many Christians aren’t thinking. They’re taking what others say and just running with it, without truly and genuinely asking God to reveal His heart and His perspective to them on a particular issue.We need to have a biblical worldview. But sadly, Barna did some research and found that only 1 in 10 Americans truly have, and live by, a biblical worldview. So, we want people to “think well,” to think biblically about important issues of the day.So that’s “Think.” Now we also, as 1 Timothy 2 tells us, we want people to “Pray” and pray for our leaders. In fact, that verse in the beginning of 1 Timothy 2 says, “First of all, for kings and those in authority….” So, we need to take that seriously and dedicate the energy that is required to do that well and to pray for our leaders. I would encourage people to pray specifically for our leaders in three ways: One is for purity. Proverbs 4:23 says, “Guard your heart.” And that’s what I pray for our leaders, that their hearts would be guarded, that they would be pure in their motives and their desires to serve God. We have elected leaders who love God, who love Jesus, and so I just want to see their hearts be guarded. But, I also want to pray that they would be peace loving. In that same verse it says, “…in order that we may live peaceful and quiet lives.” So I want leaders who are concerned about that and are peace loving. And then thirdly: wisdom. I want to encourage people to pray for those three things for our leaders. But also to pray for their vote, that they make wise choices. And then finally, “Vote.” Go to the polls. JOHN RUSTIN: That’s great. The North Carolina Family Policy Council, since the 2000 election, has been producing a very comprehensive, non-partisan General Election voter guide. One of the primary distribution methods that we use for that is through churches across the state. I was curious to kind of get a sense from you with My Faith Votes, what role the church has in that process and in the work that you do, and what resources do you have available for churches and church leaders? JASON YATES: First, let me say that the church can and should play a critical role. First of all, I believe churches really must not back down from presenting a biblical worldview—in love of course—on topics and issues that their members are reading about and hearing about every day. Not suggesting that churches get political, but they need to be biblical and help people understand and interpret what is happening. So, I do believe churches should be speaking up and, at the very least, they need to be encouraging their members to vote and helping them do so on a non-partisan basis. So, My Faith Votes provides those churches with a complete toolkit. It helps them understand what are their legal rights and limitations, but also provides them with excellent videos and media kits that they can use for Sunday announcements or just plain in-service videos—even sample sermons etc., but just equipping the church to put that call out to Christians and encourage them to vote and understand why they should. JOHN RUSTIN: Jason, I noticed that in addition to an assortment of policy topics on your website, that in the “Pray” section of your website, you offer devotionals on a variety of virtues of Christian living, such as: mercy, forgiveness, and devotion. Why are these topics relevant as we pray about and think about our involvement in the realm of politics and public policy? JASON YATES: Let me just say that I know people can get passionate about their political beliefs. And they should. Maybe that’s why people say we should never talk about politics at a dinner party, because we can get so passionate. But when we are passionate, we want to convince others that we’re right. And what I want to say is, we should never sacrifice our spiritual witness for political influence.You ask about forgiveness and devotion and gentleness. We believe that we should be expressing those virtues when we’re entering into the political realm. People are not our enemies. People who have opposing views are not our enemy. Think about the story of Jonah, and at the end, after he’s come out of the fish and he’s gone and he’s testified to Nineveh, at the end he still hates Nineveh. He hates the fact that he was called to do that. We don’t want to be like Jonah in that way. We want to be obedient but we don’t want to have that heart. And so, let’s guard our witness and our ability to talk to others about Christ. If we’re steamrolling others about our political beliefs, we may lose that witness. You know Isaiah says, “Come, let us reason together.” So, we want to reason together as the Scriptures command us to, but to do so with gentleness, do so with devotion, and forgive as necessary. So, we focus on those for those reasons, because we want to enter into this, based on our faith, not based on our politics, and do it in a loving way that we can win others to Christ. JOHN RUSTIN: Jason, what would you say as a word of encouragement to a Christian voter who finds himself or herself frustrated, or even disenchanted, with the current state of politics in our nation, and who frankly is just considering checking out altogether from voting this year? JASON YATES: Thanks John. First, I think voters and Christians need to recognize: Christ has won. The victory is His. All that we’re fighting against is a spiritual battle, and Christ has won that spiritual battle. The reality is, there is still an opportunity for us to bring our faith forward to the solution that we have, the solutions that are needed in our world, and to the issues that we face. Christ calls us to act on our faith, to be His hands and feet. So this isn’t a political act, this is an act of our faith, which God smiles down on us for when we are obedient and taking on that responsibility. I would just encourage people to look at this differently: as a sacred responsibility and not a political act. JOHN RUSTIN: Very Good. Jason, where can our listeners go to learn more about My Faith Votes and to access the resources you have available? JASON YATES: Please have them go to myfaithvotes.org and right on the front page there, people then sign up for our personal voting assistant or access, from our main menu, some of our voting tools that are there both for voters, for churches, for universities. They have access to all of those tools. JOHN RUSTIN: Excellent. Again, that website is myfaithvotes.org. 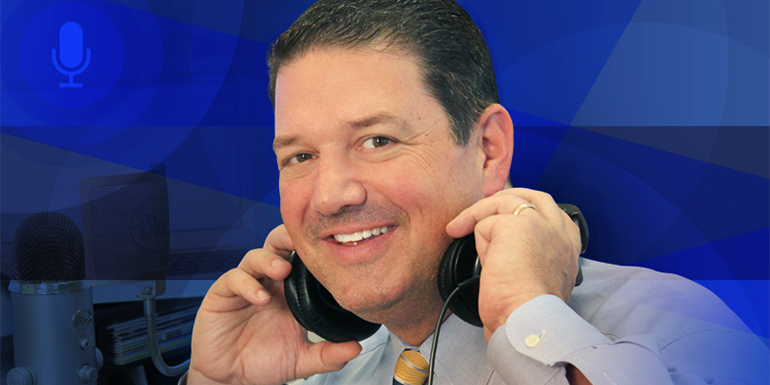 I want to encourage our listeners to take advantage of that great information that My Faith Votes has on their website for your benefit, for your education, and for your edification. And with that, Jason Yates, I want to thank you so much for being with us on Family Policy Matters, and for your leadership in helping to equip Christians across our nation. JASON YATES: Thanks John, I appreciate the opportunity.